Baby girl's Wild One birthday shirt, bodysuit. 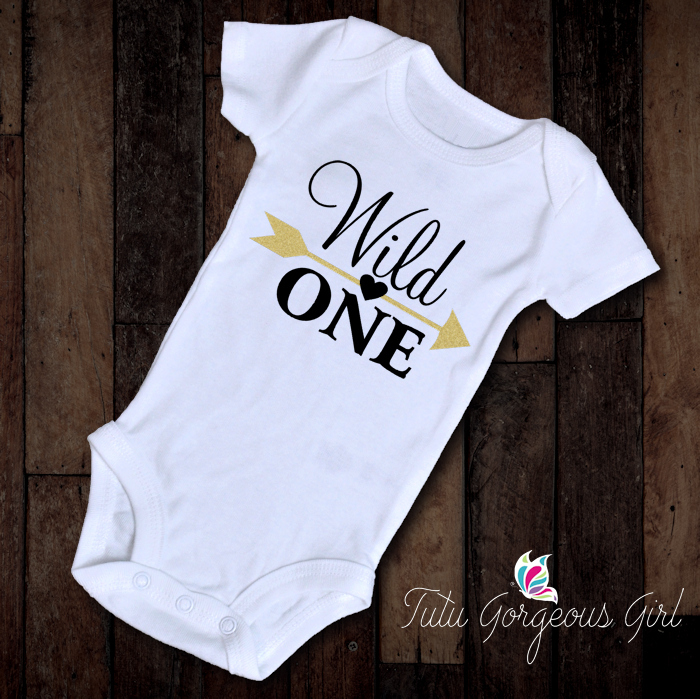 This adorable Wild One birthday bodysuit can be customized with your choice of colors, or choose one of the color options in the photos. Please see our color chart and choose 2 colors, and let us know in your order notes the colors and where you would like each color placed (wording and arrow).